This week’s big headlines hit all the major music bases. We’ve got big announcements from a classic rock powerhouse and a country music legend, along with some more exciting news for the upcoming festival season. Meanwhile, we celebrate a few special stars on both stage and screen. After five and a half decades, The Who can still stop the presses. The classic rock legends have just announced their 2019 North American MOVING ON! 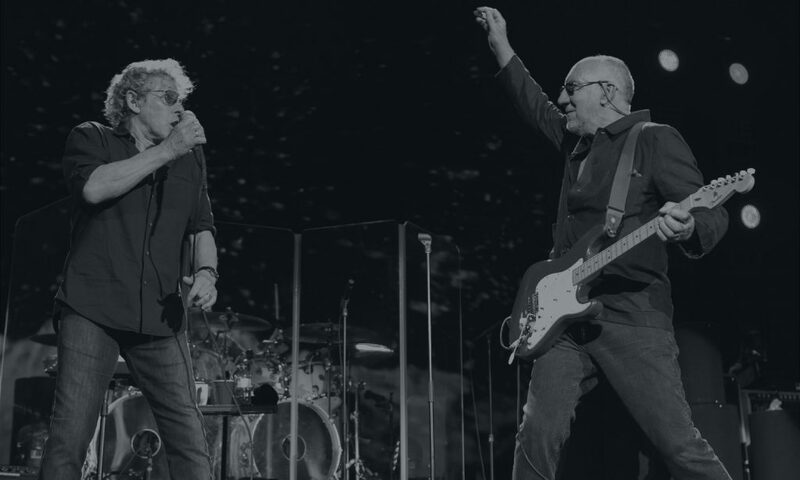 tour, which Roger Daltrey has hinted at possibly being their last. At each stop, Daltrey, Pete Townshend, and Co. will be accompanied by a local orchestra. Shows will start May 7 in Grand Rapids, Michigan, and hit up 28 more cities into October. Alongside the tour, they will be releasing a new album — their first in 13 years — sometime later this year. Stay tuned for more news on the album, but in the meantime, you can grab your tickets for the tour as of today. Last week we reported on the lineup announcements for Governors Ball and Bonnaroo. This week, the juicy festival news keeps a’ comin. This year’s Boston Calling Music Festival — which will take place Friday, May 24 to Sunday, May 26 — has just unveiled the list of performers for their 10th anniversary. Headliners Twenty One Pilots, Travis Scott, and Tame Impala will play alongside comedians like Michael Che and Fred Armisen, and even performances by the Boston Ballet. The wait is over: the #BottleRock 2019 lineup is here! 🎶🤘🎉 3-day tickets on sale tomorrow, Jan 8 at 10am. 1-day tickets on sale Thursday, Jan 10 at 10am. Tag a friend in the comments below for your chance to WIN a pair of 3-day GA tickets! More info at 🔗 in bio. If you just happen to be on the opposite side of the country on that same weekend, you’ll want to check out Northern California’s BottleRock Napa Valley, which will feature artists including Imagine Dragons, Logic, Neil Young, Pharrell Williams, and Mumford & Sons. One of Broadway’s hottest tickets just keeps getting hotter. Lin-Manuel Miranda’s Tony Award-winning Hamilton has landed in his homeland of Puerto Rico. The residency, which stars Miranda himself, will run through January 27 in San Juan. 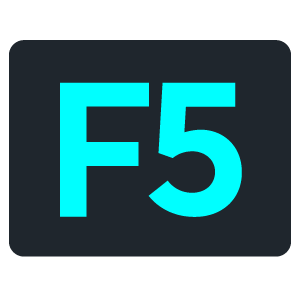 Ticket sales go toward raising funds for the Flamboyan Arts Fund, which is dedicated to rebuilding Puerto Rico and its vibrant arts and music scene. To celebrate, Tonight Show host Jimmy Fallon has joined in on the fun, bringing his own show to the island and even hopping on stage with the cast. Country music icon Loretta Lynn shows no signs of slowing down. In fact, her upcoming 87th birthday party sounds pretty iconic itself. 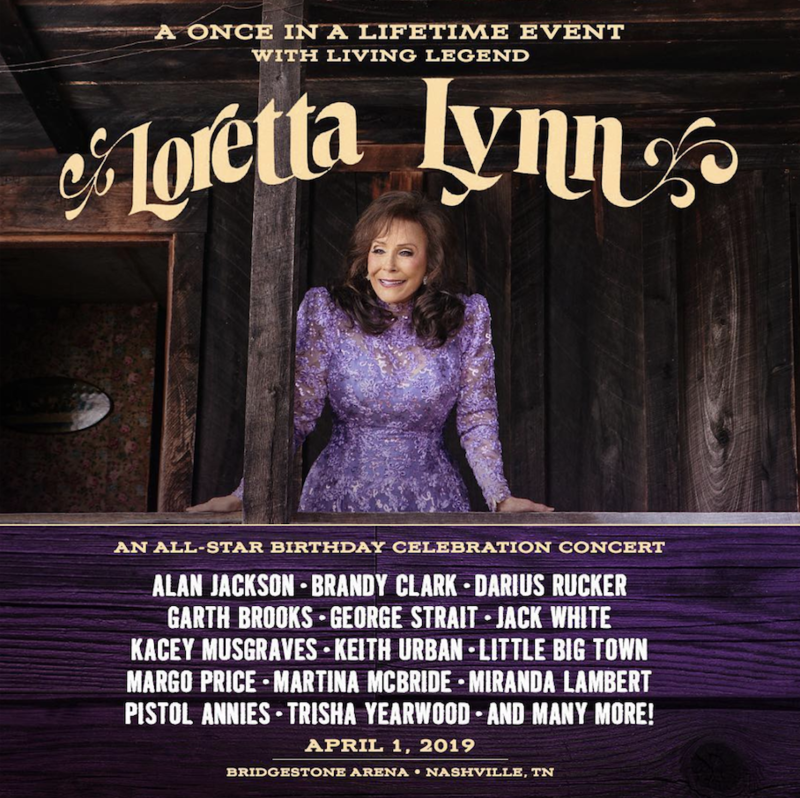 If you happen to be in Nashville on April 1, you’ll definitely want to consider showing up for her All-Star Birthday Concert, which will feature performances by Jack White, Kacey Musgraves, Garth Brooks, Miranda Lambert, Keith Urban, and many more big-name artists. The show will be held at the Bridgestone Arena. Tickets are on sale as of today. Coming off a double Golden Globe and Critics Choice win for Best Original Song for “Shallow” from A Star Is Born, Lady Gaga takes home an even more significant trophy. This time she’s nabbed the coveted Best Actress award at the Critics’ Choice Awards, which she co-won alongside legendary acting vet Glenn Close. Perhaps the most impressive part: When she’s not making an acceptance speech, she’s killing it night in and night out at her Las Vegas residency, Enigma.